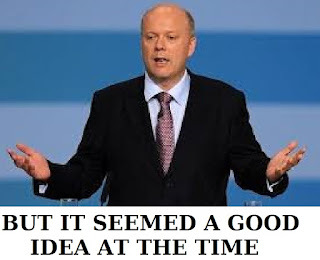 Over the last five years I have not been alone in castigating the "improvements" brought about by the former Justice Secretary Chris Grayling. Indeed quick use of the search box will indicate just what a catastrophe this incompetent man has been. 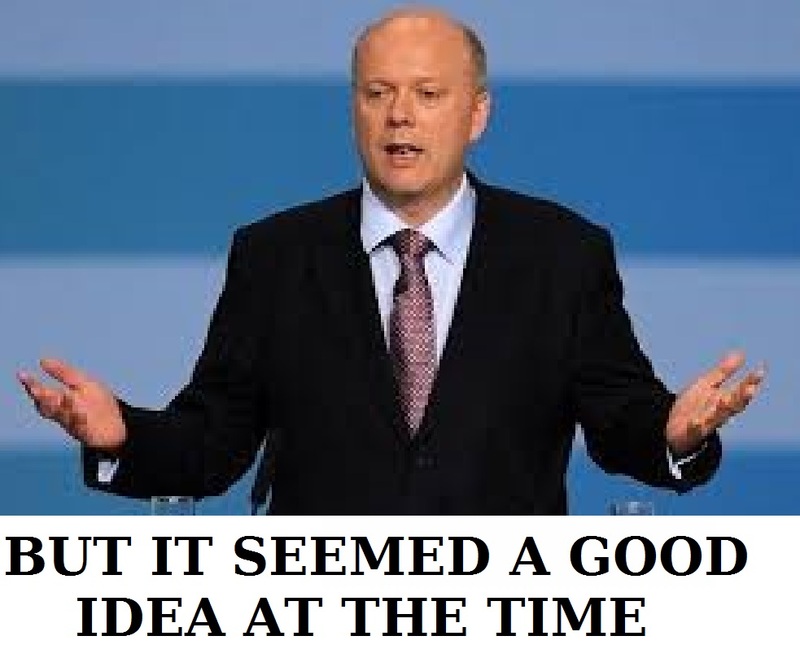 Reinforcing the fact that it was not a departmental failing of one sort or another today brings news of his ramshackle approach in his current job as Transport Secretary which has once more cost the taxpayers of the UK £millions. The fact that Maymustgo (to employ a well used Twitter handle) has kept this arrogant stupid man in position is yet just another facet of what the Brexit farce has brought us. He is an arch Brexiteer she dare not sack. This is politics today. THE COST OF PUBLIC RELATIONS AT M.O.J.